What Did We Learn From The Wimbledon Finals? This was a weird Wimbledon. There were some stars missing and others making returns from long absences. We were down to one top-10 woman by the the fourth round, and zero by the quarter-finals. The men’s quarters saw Roger Federer blow a two sets-to-none lead for just the second time in his career, and Rafael Nadal went down in the semis, ending a six-Slam streak for the sport’s two best players. The only thing that really seemed normal about this Wimbledon was that Serena Williams was there playing for a title on Saturday – and that, in the context of her return from childbirth and various health complications, was perhaps particularly far from normal. What all of this led to was a surprising pair of finals this past weekend. On the women’s side it was Angelique Kerber (11) versus Williams (25), a matchup that would have been fairly chalky some 18 months ago, but which now felt like a throwback. And on the men’s side, there was Novak Djokovic (12), back to something near peak form after a lengthy slump, taking on Kevin Anderson (8), the man who improbably dethroned Federer. It felt a little bit flukey, but particularly as Federer, Nadal, and Williams continue to age, that might just be a preview of how tennis is going to feel in a few years. And though the matches weren’t quite what we expected, they still taught us a few things. While this match wasn’t quite as lopsided as it might look, it was clear from the start that Kerber had the edge. She broke Serena immediately in the first set, and while there was some back-and-forth play thereafter, Kerber never truly looked back. Ultimately it felt like Serena didn’t quite have her A-game, though Kerber deserves credit as well. After a very rough 2017 season, she was back to her excellent 2016 form – yet she’s probably getting less attention than any Slam winner in recent memory given the justified attention surrounding Serena’s comeback. As for what we can take from the match…. It’s a fairly obvious point, but the mere fact that the youthful top 10 folded so easily in the women’s draw suggests that the tour’s young stars aren’t quite ready to perform consistently. Kerber and Williams are two of the most accomplished veterans in the WTP, and while there’s definitely a changing of the guard on the way, both plowed their way through the field with relative ease. It looked if anything a bit more like what’s been happening on the men’s tour, with none of the up-and-comers appearing ready to wrest control from the old vets. Again, Kerber is getting less attention than she deserves. Last year was really an all-out disaster for the now three-time Slam winner. Following a dominant 2016, she failed to win even a minor title in 2017 and finished just a shade over .500 in singles matches. Now, all of a sudden, she’s back to #4 in the world and looks to be a formidable threat moving forward. Given the apparent inconsistency of the young stars – Sloane Stephens, Garbine Muguruza, and Co. – Kerber has a real chance to amass an impressive title count over the next year or two. This was not Serena Williams’s most impressive performance in a final, even among the ones she’s lost. But to see her get to this point was somehow as amazing as it was unsurprising. It feels as if a lot of fans don’t quite realize what she went through, but just to be clear, it was more than childbirth. While it’s an impressive achievement on its own, moms have won tennis Slams before and will do so again, likely even aside from Serena’s virtually assured future triumphs. This particular situation was about far more than adjusting to motherhood however. The list of complications Serena faced includes an emergency C-section, a (self-diagnosed) pulmonary embolism the day after delivery, hemorrhaging at the C-section site, and naturally plenty of medications and procedures. 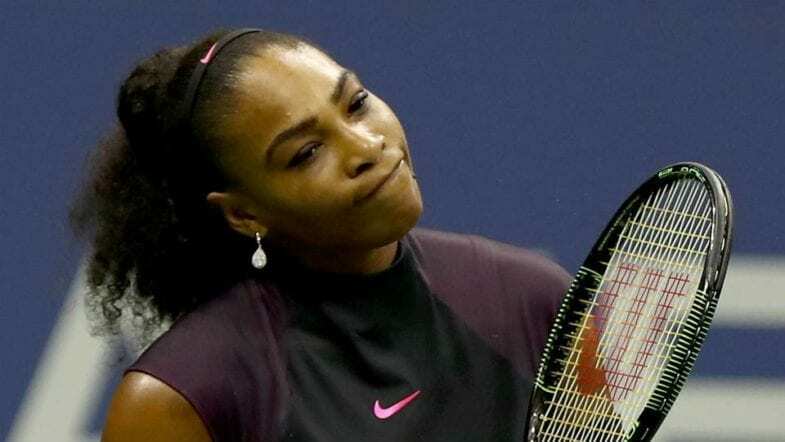 The combination of painful experiences, legitimately life-threatening situations, and training setbacks Serena went though – not to mention what has to have been a one-of-a-kind emotional roller coaster – makes it almost miraculous that she was back in a Wimbledon final so soon. This really wasn’t a pretty final, in part because both players were depleted from their semifinal efforts. 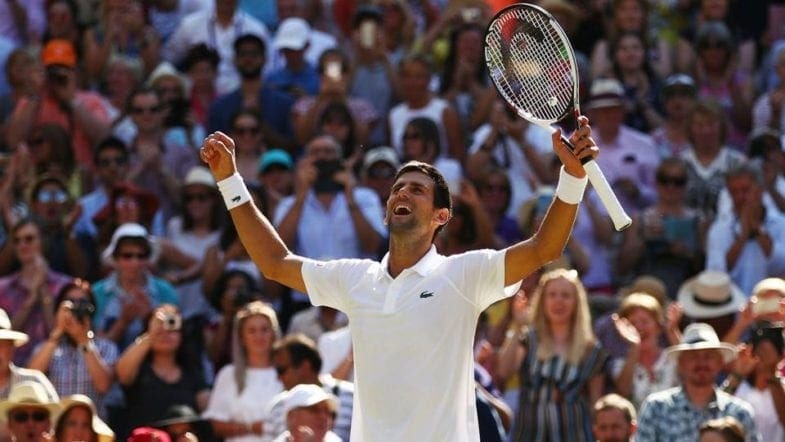 For Djokovic, that meant a grueling triumph over Rafael Nadal that bled into Saturday morning after running up against Wimbledon’s nonsensical curfew the night before. For Anderson, it meant playing two days after a marathon match against John Isner that made a joke out of Wimbledon’s even more nonsensical rule against 5th set tiebreaks. In the end, Djokovic just had more left in the tank, though with his form these past two weeks he’d likely have won if both players were fresh as well – just not this easily. Due respect to Andy Murray, the ATP’s “Big Four” era of the last decade or so was really more of a Big Three as far as Slam titles were concerned. That had more or less been chipped down to two, and an upside down two at that, with elder statesmen Federer and Nadal calmly rattling off six consecutive Slams since January of last year. This time around though, Federer looked decidedly more human, and Nadal came up short in the biggest moments in a terrific battle against Djokovic. I wrote that Djokovic wouldn’t find himself on clay this season, and the truth is I didn’t think he’d find himself at all quite this quickly. But now, heading toward the U.S. Open, there look to be three co-favorites. 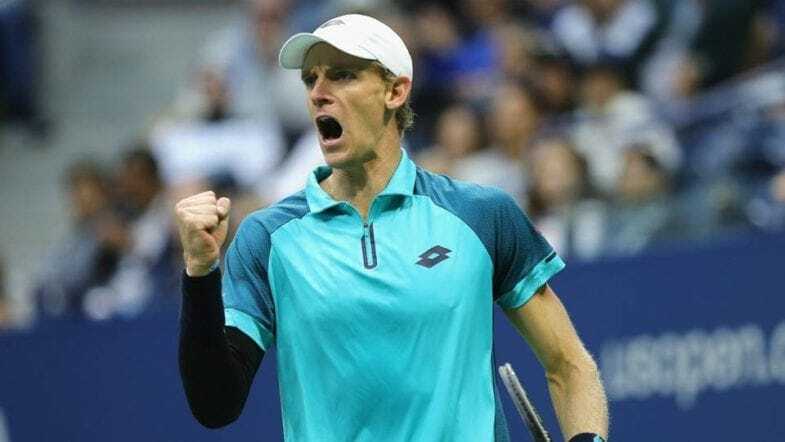 Kevin Anderson toppled Roger Federer with pure resolve and some vicious serving late in a five-set match. He then won the aforementioned marathon with Isner to reach his second final in the last four Slams. It still seems strange, but he’s asserted himself as a legitimate contender, not unlike the way fellow big man Marin Cilic did a few years ago. There’s no doubt now that he’s capable of winning one, though he’s also been flattened in his two Slam finals, which indicates he might need a break to make it happen. That is, he may be able to beat the best players in the world – just not in successive matches deep in a major. As an aside, it should also be mentioned that Anderson has handled the brighter spotlight he’s commanded over the last year with consistent class. If you care about Wimbledon you’ve seen these arguments already, so I’ll be brief. But the combination of the lack of a 5th set tiebreak (leading to Isner and Anderson effectively playing two matches’ worth of tennis in one) and the city council-imposed evening curfew (forcing Djokovic to play into Saturday) clearly impacted the final. Granted, there were disadvantages both ways, but there’s no good reason for making the last two men standing hobble into the championship match. These are easy rules to change, and it should happen before 2019. Is basketball still a big man’s game?